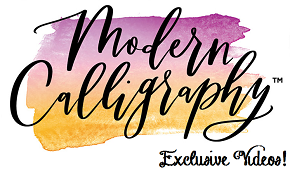 We have had an overwhelming request for the handwriting worksheets that I gave out at PlannerCon 2019. We were so happy to hear how much you enjoyed them and we love your enthusiasm! We have to take the opportunity to share them with you once again! Using these simple worksheets and steps, you can elevate your OWN HANDWRITING! One of the main things I like to teach in my workshops, is that I don't want you to try to write like me - I want you to write like YOU! You have it in you, you just need to practice and apply tiny adjustments! If you use a Faber-Castell Pitt Artist pen, and follow these simple steps, you'll be able to change the way you write! It's amazing how such tiny adjustments are able to change the appearance and quality of your already existing handwriting! Want to practice using this method? Download a free printable worksheet HERE ! Thank you! Enjoy - Keep Creating!